(มี @ ข้างหน้าด้วยครับ) | จันทร์ - เสาร์ 9:00 - 17:30 น. 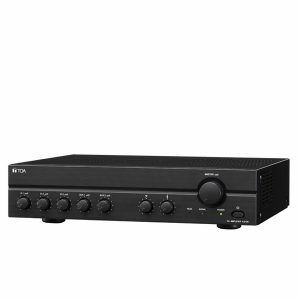 With quick, easy setup and intuitive operation, the compact MA and PA series power amplifiers make it easier than ever to bring your commercial space to life. The MA2030a and PA2030a are ideal audio solutions for retail stores, eateries, classrooms or public facilities like hospitals. 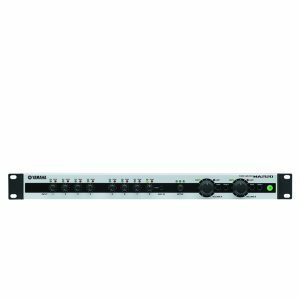 The MA2120 and PA2120 meet the demands of a wide range of applications requiring higher power as well as more flexible DSP functionality and zone control. All models combine approachable, unobtrusive design with efficient, flexible performance. 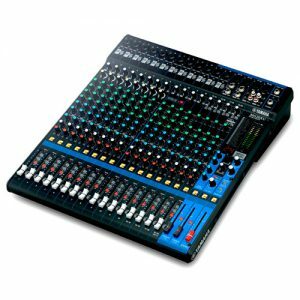 The MA2030a and MA2120 offer mixing capability with source EQ (Bass/Treble) control, as well as some of the same state-of-the-art DSP technol-ogies that are acclaimed features of professional Yamaha audio gear. 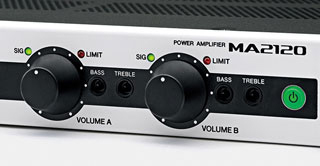 Whether providing background music for a café or restaurant or powering a conference room or other application requiring microphone input, the MA/PA series amplifiers are simple yet powerful tools that can help establish an ideal commercial sound environment. 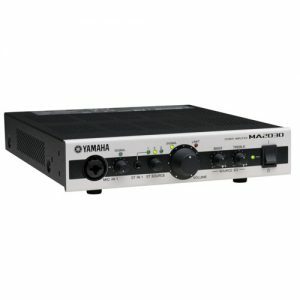 – Simple, user-friendly interface – Stereo and microphone inputs (MA series) – DSP functions optimized for background music (MA series) – Switchable for low (3/4/8 Ω) and high (70/100 V) impedance speaker systems – Stereo source EQ with enhancer function (MA series) – EQ for optimum performance with Yamaha VXC/VXS series speakers built in – Easy service zone expansion with PA series amplifiers (PA2030a excluded) – Optional DCP control panels allow convenient remote volume control, microphone ON/OFF switching and chime activation (PA2030a excluded) – Industry leading Yamaha quality control and reliability – Compact, space-saving design* * All models are naturally cooled designs that require sufficient surrounding space for airflow. 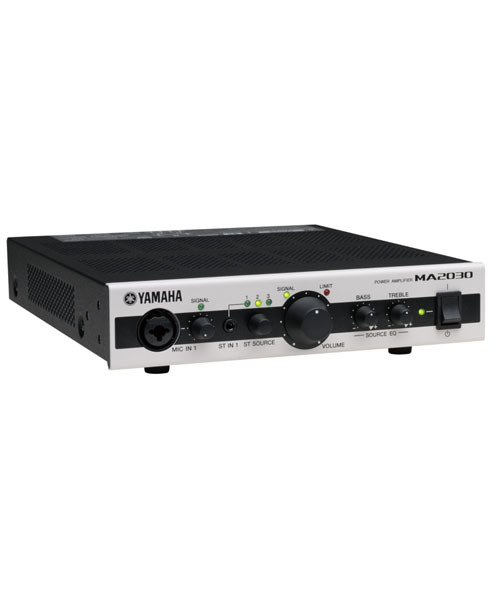 The MA and PA series power amplifiers offer powerful features in compact, durable metal chassis. They are designed for easy, intuitive operation that makes specialized training or audio experience unnecessary. For example, the output volume knob has been made the focus of the front panel design, enhancing day-to-day operability while minimizing the possibility of error. No special software, programming or equipment is required for installation or setup. Anyone can quickly and easily set up a system that will deliver the best possible sound for a wide range of applications. Advanced DSP features for background music and paging are efficiently packed into the remarkably compact MA and PA amplifier enclosures. 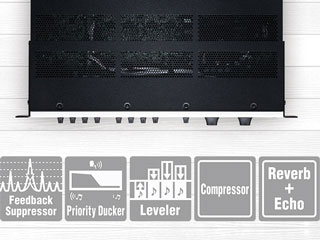 There’s a Feedback Suppressor that can eliminate annoying feedback when using a microphone, a Priority Ducker that smoothly adjusts levels when input is detected at an announcement microphone, a Leveler that maintains constant overall level regardless of changes in input levels and more. 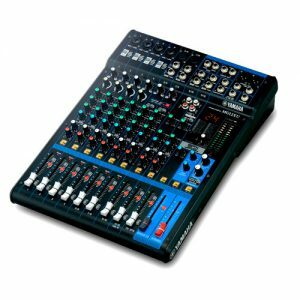 The MA2120 additionally features reverb, echo and compressor processing that can be used to enhance the sound and quality of microphone input in a variety of applications. The heart of the MA and PA series is a highly efficient Class-D amplifier design that delivers ample output while consuming very little power. 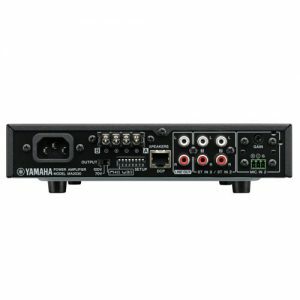 It also includes intelligent protection circuitry inherited from Yamaha’s flagship touring amplifier series, effectively protecting both the amplifier and connected speakers. Efficient naturally cooled designs that do not require cooling fans contribute to high reliability as well as quiet operation. The MA/PA Series directly supports low impedance and high impedance speaker systems without the need for additional transformers or other hardware that can take up valuable installation space and increase costs. 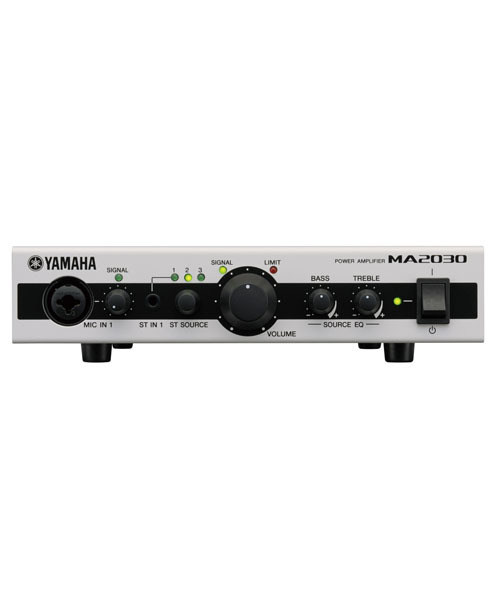 When used to drive a 3Ω or higher low-impedance speaker system (3Ω/4Ω/8Ω selectable) the MA2030a and PA2030a amplifiers deliver up to 30W per channel into two channels. With a high-impedance 70V or 100V line connection output is a single channel at up to 60W. Likewise, when driving a low-impedance system of 4Ω, the MA2120 and PA2120 amplifiers deliver up to 120W to each of two output channels. When driven at 3Ω/8Ω mode, these amplifiers can deliver up to 100W per channel. 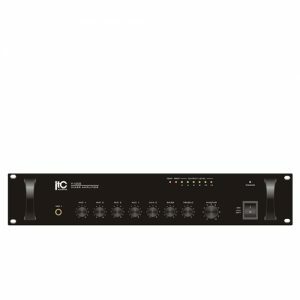 With a high-impedance 70V or 100V line connection, a single channel can output up to 200W, which is ideal for powering mid-size installations. In addition, since the MA/PA Series can be used with all Yamaha commercial installation speakers*, you have the choice and flexibility to design a sound system that meets your specific requirements. 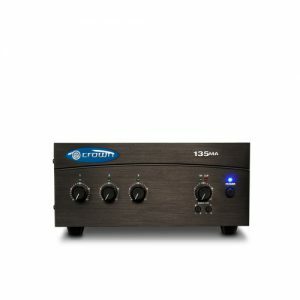 As indicated, for example, a single unit of MA2120 or PA2120 can support full-range speaker systems at high-impedance mode, as well as a subwoofer at low-impedance mode. With MA2030a or PA2030a which has one output channel, the similar system can be composed by combining two units of amps. * Includes the VXS series, VXC series, VS series, S series, NS-AW series and NS-IC series. The S series, NS-AW series and NS-IC series are not available in some regions. 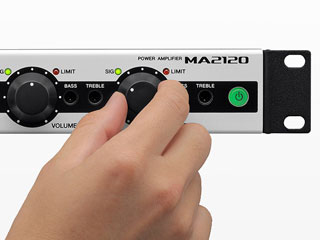 The MA2030a and MA2120 mixing power amplifiers offer flexible connectivity for a wide range of applications. 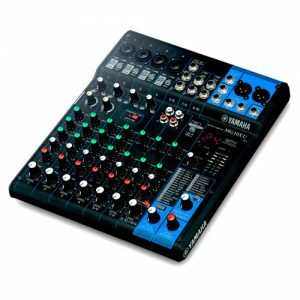 The MA2030a comes equipped with two microphone inputs (XLR combo jack and Euroblock) and three stereo inputs (RCA pin). The XLR combo jack on the front panel makes setting up for speaking engagements fast and easy. 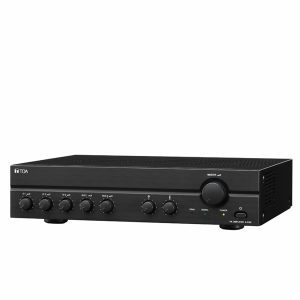 The MA2120 includes six microphone/line inputs (Euroblock) and two stereo inputs (RCA pin, stereo mini phone). 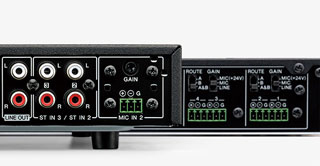 All six microphone inputs feature switchable 24V phantom power. Inputs 5 and 6 can also be used as MONO SUM inputs to provide extra input capacity. 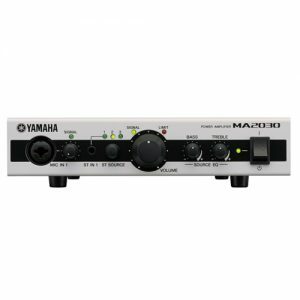 The MA2030a features bass and treble stereo source EQ controls. With EQ knobs of MA2030a front panel, the low and high frequency contours of the stereo input sources can be adjusted. The source EQ also includes an enhancer function* that adds harmonics as necessary for improved sound. With MA2120, an output EQ can be set for each output channel. In addition, all MA/PA Series amplifiers come equipped with speaker EQ that provides ideal equalization for Yamaha VXS/VXC speakers, LPF** and HPF. The MA/PA Series is capable of controlling input sources and volumes for two separate areas (source / volume zoning). For example, in an apparel store with the women’s section downstairs and the men’s section upstairs, or in a restaurant with dinner tables and a bar area, different background music and announcements can be delivered at different volumes to best complement the atmosphere of each environment.Because the MA2120 has two output channels, users can easily manage source/ volume zoning for two separate areas with a unit. (Please refer to System Example 4 and 5.) In addition to volume zoning, the rear-panel ROUTE switches enable input source selection for each area. 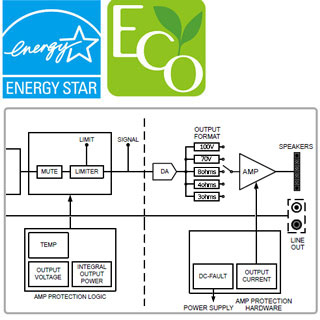 Speaker output levels in both areas can also be matched via the DIP switch settings. For a larger space, PA2120 or PA2030a can be added to the system, expanding service areas with volume zoning. A MA2030a system combined with a PA2030a can cover two service areas with volume zoning. For example, as shown in the image, background music can be played inside a cafe at a low volume level while the same music plays at a moderate level for an outdoor terrace. The optional DCP control panels* allow remote volume control, microphone ON/OFF switching, and triggering the built-in chime for announcements. 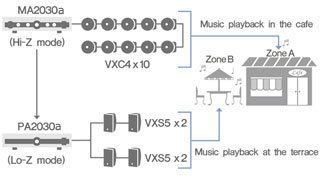 * DCP4V4S, DCP1V4S and DCP4S, up to two units in total, can be connected to MA2120 and PA2120. 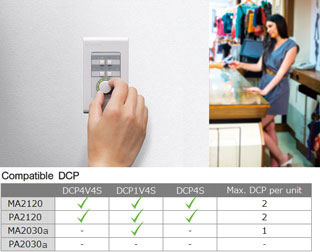 One unit of DCP1V4S can be connected to MA2030a. โทร : 02 435 8998 มือถือ : 085 396 8888 แอดLine ID: @sounddd.shop (มี @ ข้างหน้าด้วยครับ) จันทร์ - เสาร์ 9:00 - 17:30 น.